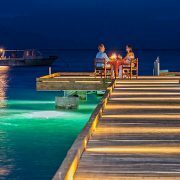 Your Fiji Honeymoon or romantic all inclusive Fiji vacation will be spent at Jean-Michel Cousteau Resort, a reward-winning luxurious island vacation destination. 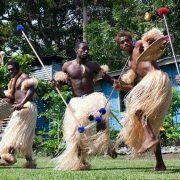 This is truly an amazing resort experience – focusing on rest and relaxation, authentic cuisine and culture, and exploring the incredible secrets of nature and the local environment. 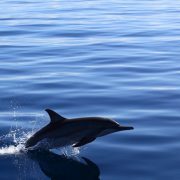 Here you can experience first class luxury and support the regions efforts to preserve its beauty and pristine glory for generations to come. 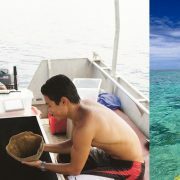 Jean-Michel Cousteau Resort is a pioneer in Eco-tourism, with all operations and management practices are guided by consideration for the environment. 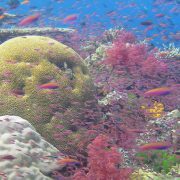 You’ll love your romantic all inclusive vacation at Jean-Michel Cousteau Resort! 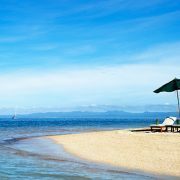 Romantic All Inclusive Fiji Vacation itinerary is flexible and can be tailored to suit your needs. 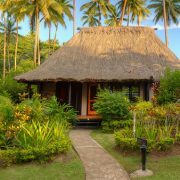 Most Coveted Accommodation in the South Pacific! 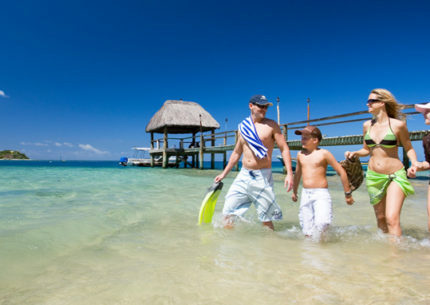 Travel by International air to Nadi, Fiji from Los Angeles (international flights and US domestic add-ons available). 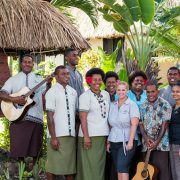 In Nadi, you will be greeted by a representative of your luxury resort. 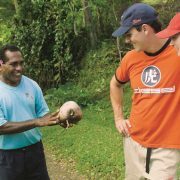 Take a short domestic flight to Savusavu for a big Fijian Welcome and transfer to Jean-Michel Cousteau Resort Fiji. 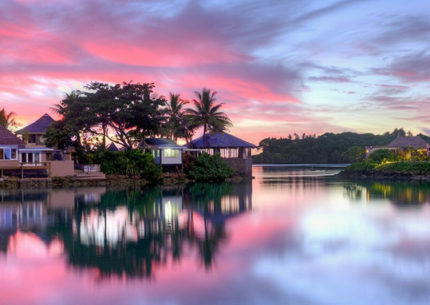 Stay 6 Nights at Jean-Michel Cousteu Resort, with this ultimate Romantic Package. 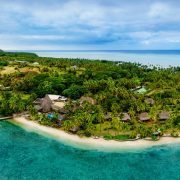 Surrounded by a marine sanctuary, spectacular secluded coastline, coral reefs and exotic marine life, this socially and environmentally responsible resort is one of the most renowned, award-winning destinations in the South Pacific. 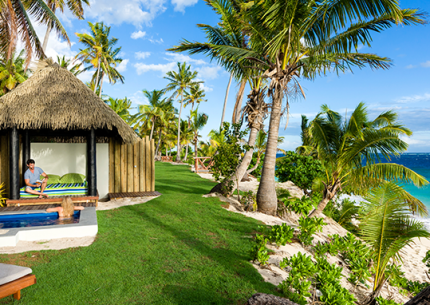 It offers guests relaxation in an intimate, pristine setting together and an interactive experience with authentic culture and nature. 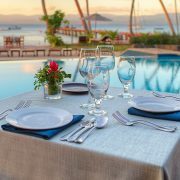 Appealing to discerning travelers of all ages; guests enjoy the perfect combination of culture, well-being, nature, relaxation, exceptional cuisine and legendary personalized service from over 220 warm, friendly staff. 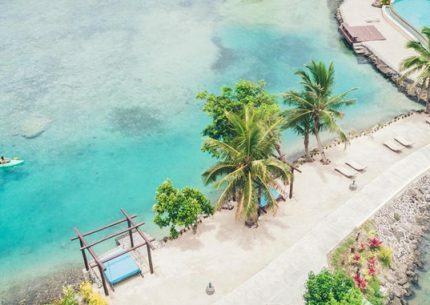 Located on Fiji’s second largest island, Vanua Levu, the resort sits just 15 minutes from the scenic harbor town of Savusavu. 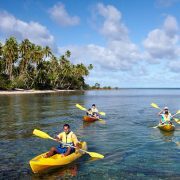 This idyllic location on the shores of Savusavu bay is surrounded by some of the most outstanding soft coral reefs in the world. With this special package, you and your loved-one receive 2 free nights & more! 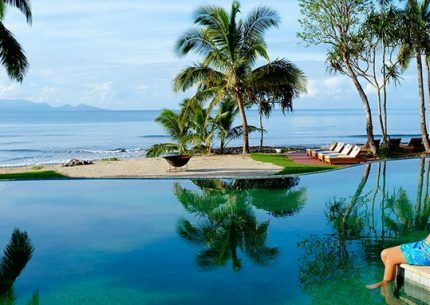 A private island escape with cold French Champagne. 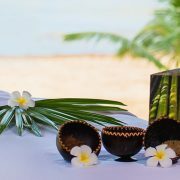 Spa treatments to indulge yourselves to the value of FJ$500 to experience. The Jean-Michel Cousteau brand of natural healing. 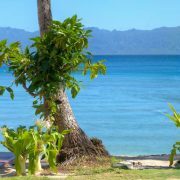 You will be transferred from your hotel to the Savusavu Airport. 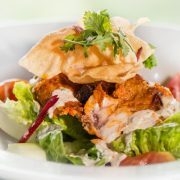 From there, you'll fly to Nadi and connect with your flight to Los Angeles, USA.